History has a funny way of repeating itself. Take the Windy City of Chicago circa the 1820s when a self-proclaimed Brooklyn street politician named Al Capone revolutionized the crime world with his hustling antics. 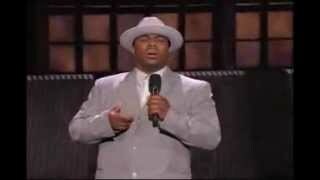 Nearly 70 years later, the Bronx is introduced to Derrick Lee, another hustler who trades in his ruggish-thuggish ways to become a successful entrepreneur and later metamorphosize the world of comedy as Capone, the Gangster of Comedy.